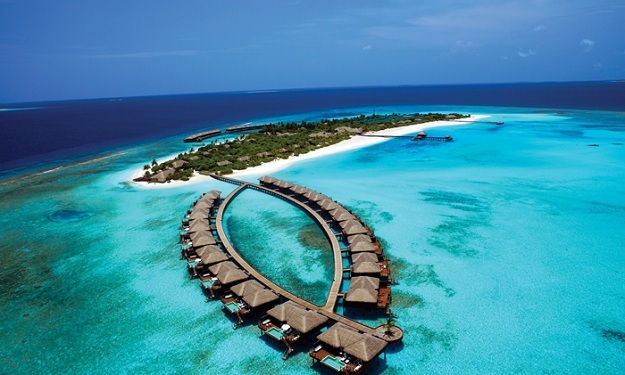 Jumeirah Vittaveli is an island resort that is cool and serene. 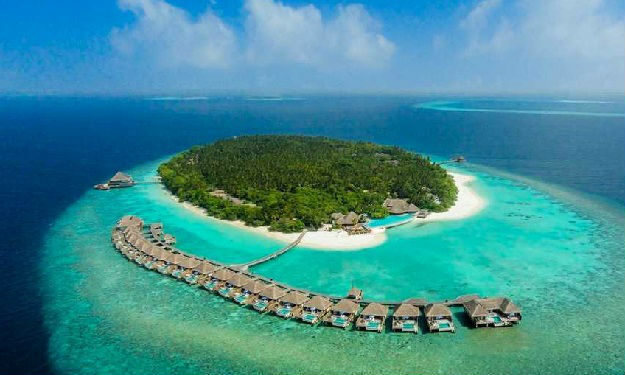 It is a 20 minute boat ride from the Male Airport. 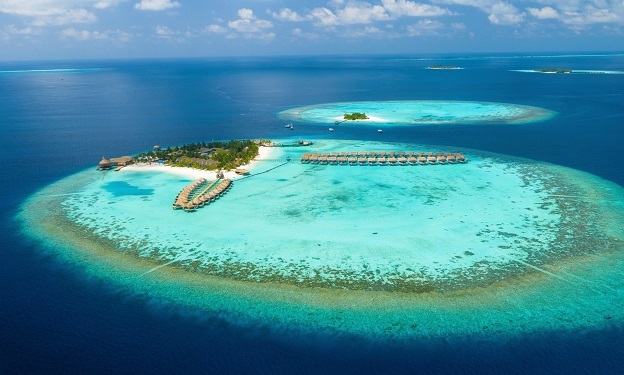 You will experience the spectacular beauty of nature combined with blissful serenity. 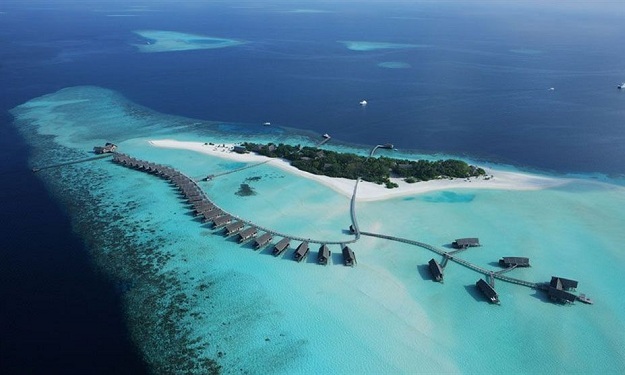 The tropical climate with warm sea breeze gives a pleasant oceanic atmosphere. 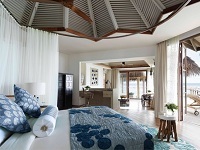 Jumeirah Vittaveli cushioned with sophisticated magnificence is a reflection of Maldivian architecture. 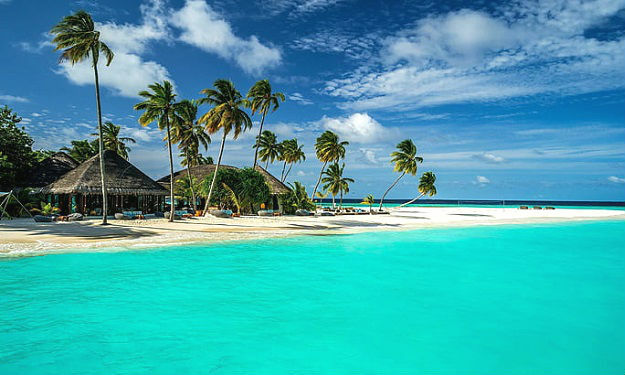 This serene island lets you to lose yourself in pure stretch of sparkling white pristine sand where the warm breeze whispers tranquil and peace notes to your ears and eyes. The Beach Villas feature stunning and spacious interiors with direct access to white sandy beaches and the Indian Ocean’s clear waters. Relax on the individual Sala sunbeds after a leisurely dip in your own private ‘L’ shaped pool. Enjoy an exceptional semi-open shower experience and the breathtaking open-air bathroom with marble bathtub, swing and dressing area in the landscaped garden. 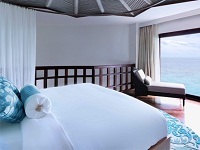 As the day ends, the comfort of an ocean facing deluxe 2x2 metres king-size bed awaits. 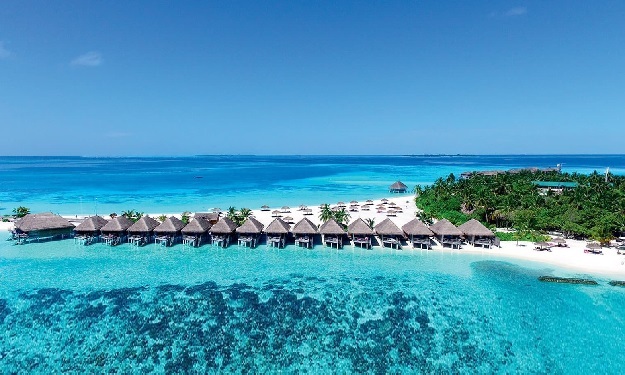 The Beach Villas With Pool Sunset feature stunning and spacious interiors with direct access to white sandy beaches and the Indian Ocean’s clear waters. Relax on the individual Sala sunbeds after a leisurely dip in your own private ‘L’ shaped pool. Enjoy an exceptional semi-open shower experience and the breathtaking open-air bathroom with marble bathtub, swing and dressing area in the landscaped garden. 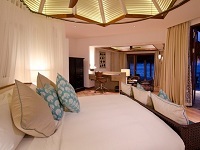 As the day ends, the comfort of an ocean facing deluxe 2x2 metres king-size bed awaits. The Beach suites are a harmonious combination of space, service and privacy, beautifully appointed over two levels and perfect for families. Each suite has a master bedroom with a King Size bed and a second floor children’s bedroom with twin beds – both with an en-suite bathroom. 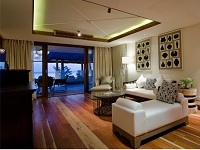 The Suite also offers a private swimming pool as well as a separate living area and outdoor terrace. 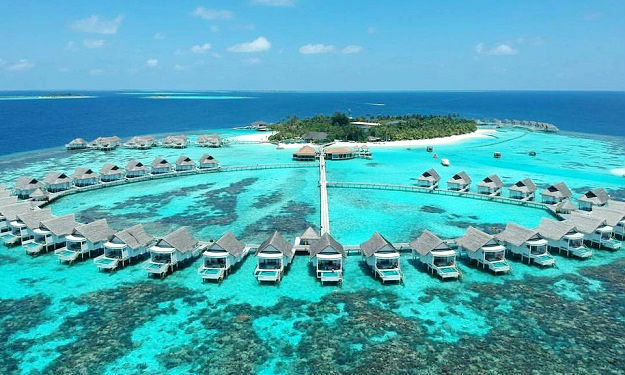 Water villas with pool plan to make the most of the fabulous blue Maldives resorts Ocean underneath. Unique comfort emerges within the fresh Water Villa with Pool that summarizes a musical balance between impressive design and stunning interiors. 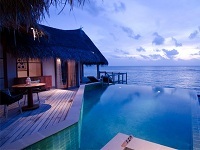 Each villa has a generous swimming pool with a personal decking area that meanders to the sea. Day beds just right for captivating the comforting feel of the sun’s warmth nurtures everlasting daydreaming while gazing into the horizon. 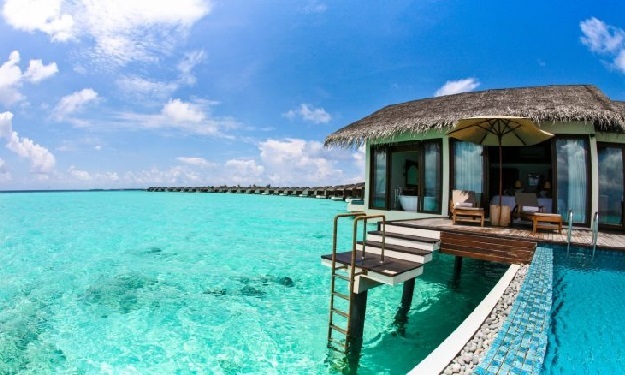 Water Villa With Pool Sunset feature astonishing and large interiors with straight accessaccess to this Maldives vacationresorts plain waters. Get Relaxed on the Sala sunbeds after a relaxing dip in your own personal ‘L’ shaped swimming pool. Get pleasure from an extraordinary semi-open showerexperience in the grand open air bathroom with marble bathtub, swing and dressing area. As sundown draws near, straighten out to watch the wonderful sunset knowing that the comfort of a luxurious 2x2 King bed enticingly awaits you. Ocean Suite with Pool is standalone suite and is a generous choice, a heartbeat away from the main island and reachable only by speedboat. 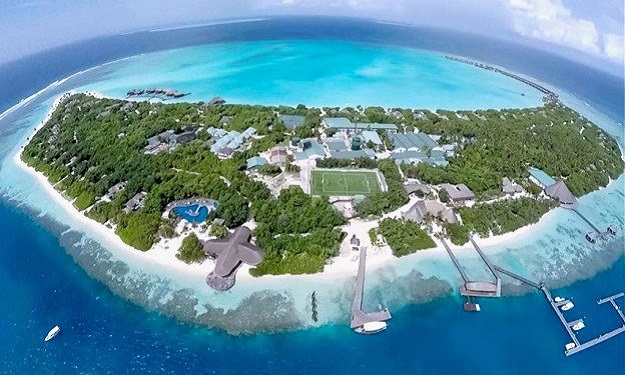 Run away into your own completely private haven of pure lavishness and relaxation. Two floors assure you every comfort possible and create a feeling of pure free will with their largeness. 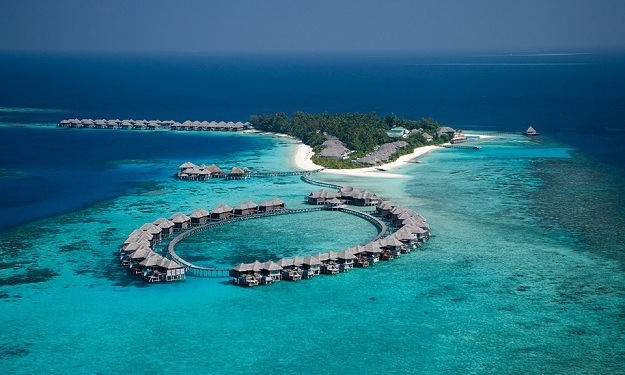 The unique covered terrace is balanced on platforms and crafted with split-level wood verandas leading you straight into the Maldives lagoon’s magical clear blue waters. Watch the fascinating marine life through the living area’s beautiful glass flooring or lie around in warm rays until the end of the day. 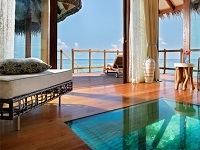 The tranquil waters are so inviting and make your senses rejuvenate with energy and great feeling. 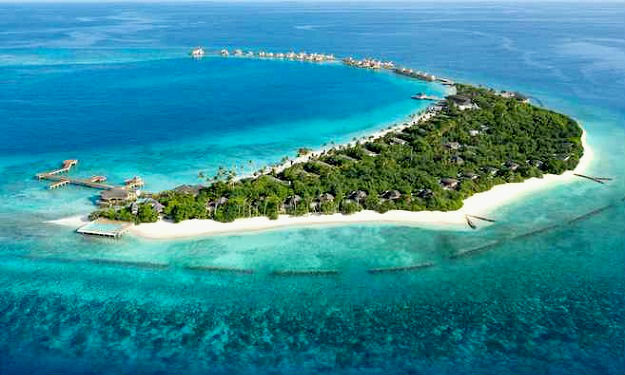 To compliment them are the tropical landscapes with sanctuaries of peace. 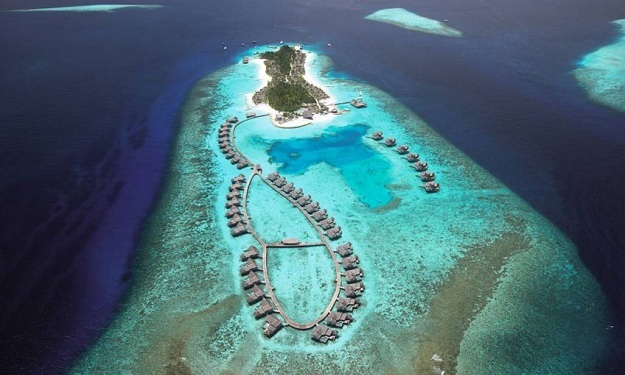 Amidst them is the Jumeirah Vittaveli that offers a holistic approach to life. You will be able to accelerate your feeling inside. 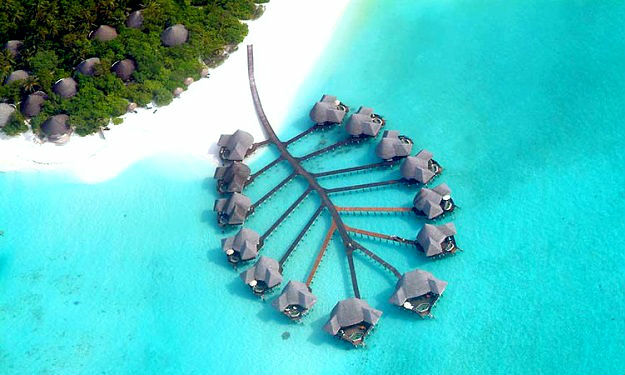 Talise Spa is the special and exotic Spa that takes you through a journey into a life of paradise. The inner serenity is kindled and a medley of treatments done to heal you with deep curative benefits. 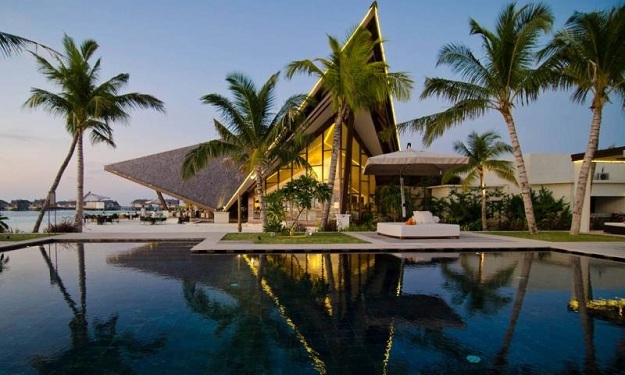 Here luxury and simplicity go hand in hand. Therapeutic treatment with cleansing and relaxing makes you energize and balance your lifestyle. There are alternate therapies available for healing and relaxing. Pampering your body is the main criteria. 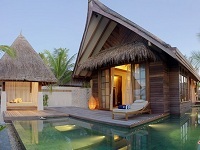 Couples can engage themselves in independent rooms for such luxury treatments. 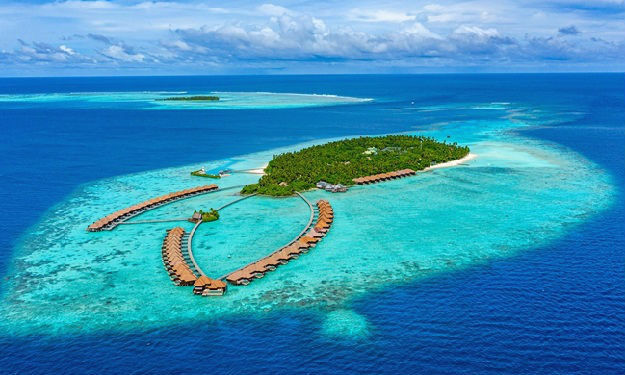 The true essence of a Maldivian island paradise, Jumeirah Vittaveli is surrounded by incredible coral reefs only a few meters from the island. 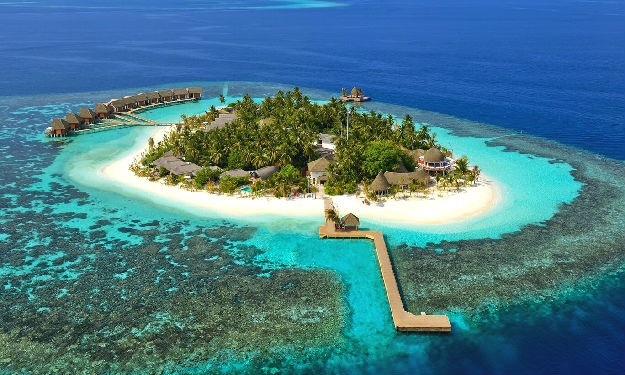 The waters that surround it are perfectly suited to a wide range of activities – from fun kayaking and wakeboarding sessions, romantic sunset cruises, to extreme adventure with night diving. The resorts PADI & VDWS certified Best Dives Dive & Water Sports Center offers courses and expeditions to suit all ages and desires. Take the plunge and try out the exhilarating array of water sports activities on offer at The Best Dives Water Sports Center at Jumeirah Vittaveli. Whether it is Kite Surfing, WakeBoarding or the Sea Bob, you are sure to have an adrenaline rush throughout the whole day. 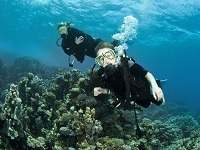 The resorts qualified instructors are on hand to take you through the fundamentals or to conduct in depth courses. 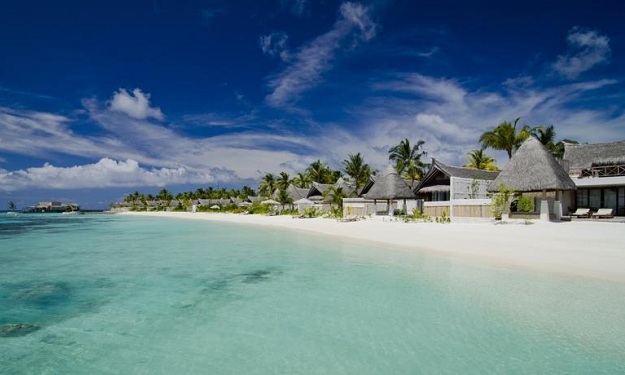 No matter your proficiency, there is something for everyone here at Jumeirah Vittaveli. 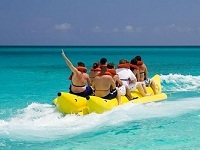 A range of Water Sports to enjoy: Banana Tube, Catamaran, Sailing, Fun Tube, Jet Skiing, Kite Surfing, Sea Bob, Wake Boarding, Water Skiing, Wind Surfing. 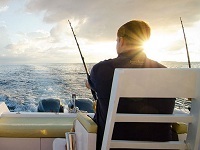 Big Game Fishing: The Maldivians have been fishermen for generations, and yet the game continues with Tuna, Trevally, Wahoo, Mahi Mahi and the legendary Marlins. Take your turn in the game, 4 hours with the experienced Skipper and crew aboard the world renowned Bertram 54. Sunset Fishing: Experience the thrill of fishing in Maldivian waters, and the opportunity for the chefs to cook your catch for dinner. Red snapper, job fish, groupers, emperors, squirrelfish and barracudas are on the menu. Sunset Cruise: Take in the spectacular sunsets from the middle of the Indian Ocean, offering picturesque opportunities and romantic moments with a glass of Champagne and canapés. The resorts fitness professionals offer a complimentary personal training session per stay, along with a wide range of training activities and events, that include personal training on the beach and in the over water gymnasium, circuit training, and stretch classes. 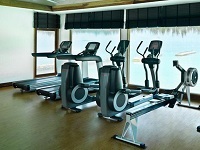 The over water gymnasium is open 24 hours a day, with a trained professional available to assist from 9am – 6pm daily. 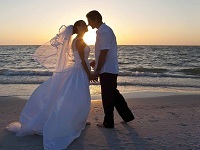 The memories of your wedding day will last a lifetime. 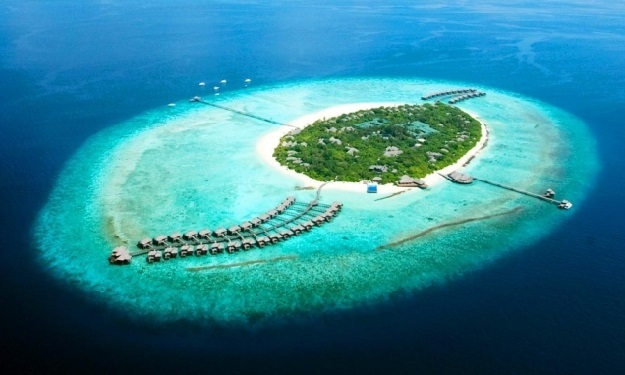 Jumeirah Vittaveli ensures they are perfect. 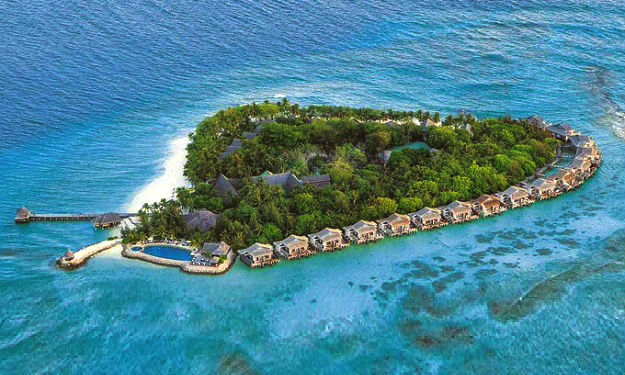 Against a backdrop of the mesmerising, unspoiled Indian Ocean, wedding options will surpass all expectations. Capture these incredibly beautiful surroundings with the professional photographer, while the sumptuous menus and the dedicated wedding coordinator will make certain that your special day is truly unforgettable. Feast on a gourmet tailor made menu as you sink your toes into the cool waters of the main pool. An elegantly set table dressed in white linen sets the tone as you dine under the stars by candlelight with your own private server. Delight in the spectacular changing of colours as the sun slowly rises over the horizon on your own stretch of beach as you tuck into a gourmet breakfast, sip on perfectly chilled champagne and listen to the soothing sounds of the waves breaking on to the shore. 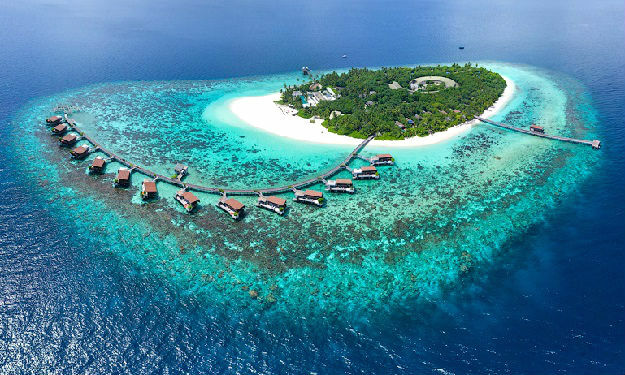 Enjoy a luxury romantic dinner in the Maldives, perfectly chilled champagne, a breathtaking view, complete with romantic flower turndown in your villa coupled with an intimate butler drawn bath awaiting you upon your return. 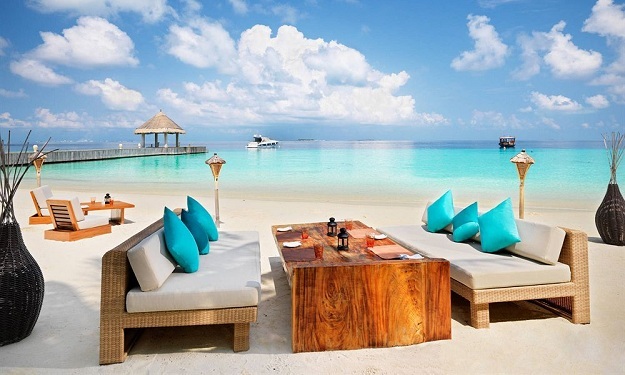 Soak up a sunset panorama over slow drinks at BAR-EE in the Maldives. Our 360 degree bar's menu of signature cocktails offers the perfect vantage point for a refreshing or relaxing moment. 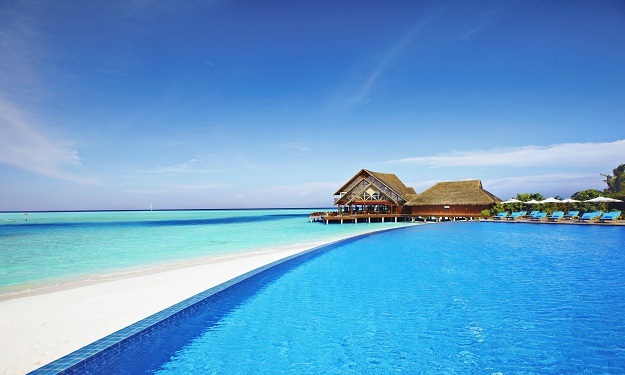 Spend some time poolside and lounge on the sala day beds as you contemplate the surrounding views at the best bar in the Maldives. The extensive drinks menu offers a range of cocktails as unique as the island itself. The appeal of this over water restaurant lies in the spectacular interplay between refined Mediterranean dishes and the striking design element. A menu of authentic treasures and contemporary dishes ensures a journey of culinary perfection. 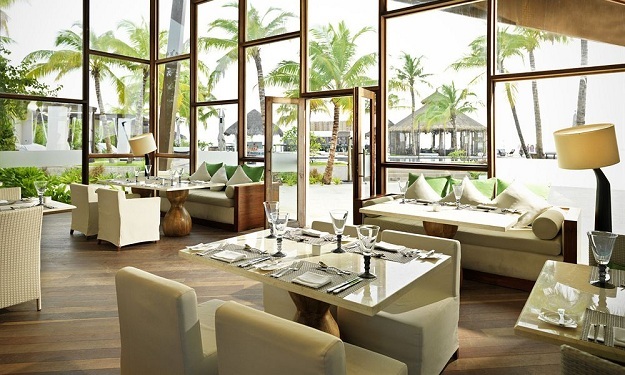 An ode to outstanding cuisine, its spectacular design frames the natural beauty of Jumeirah Vittaveli. 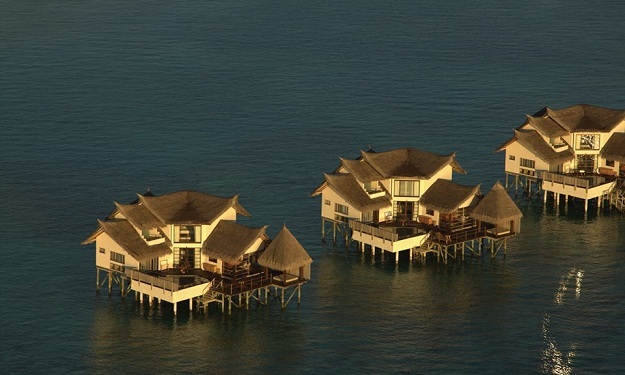 With views across the Indian Ocean, Samsara sets the scene for the culinary masterpieces that await you. The all day dining restaurant specializes in eclectic culinary delights from Asia and all over the world. Savour the freshest sashimi, seafood curry or prime beef burger from an assorted à la carte menu or treat yourself to a sumptuous buffet complemented by the ocean breeze or starlit sky. Whatever you choose, you’ll enjoy flavours that linger in your memory long after the meal is over. The perfect setting for both intimate candle light dinners on the beach as well as family style eating, MU Beach Bar & Grill serves the very best meats in the Maldives in different marble scores and the freshest seafood including lobster, prawns and fish cooked to perfection on the grill.